Looking for an adventure that takes you to two of the world’s finest cities and also on an epic climbing expedition? Our Mount Elbrus climbing expedition does just that. 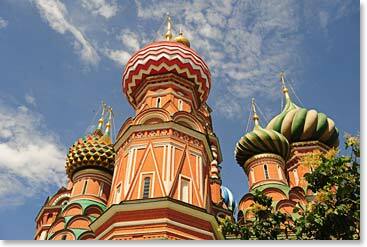 Visit the grand, historic cities of Saint Petersburg and Moscow before continuing on to climb the highest peak on continental Europe, Mount Elbrus. You’ll get the chance to take a ride on the illustrious Trans-Siberian Railway on the night train from Saint Petersburg to Moscow, visit Moscow’s famous Saint Basil’s Cathedral and other famous landmarks, and hike in remote regions of the Caucasus Mountains – all musts on any world traveler’s life list. Mount Elbrus is the tallest mountain on continental Europe standing at an impressive 18,586ft/5,665m and is one of the Seven Summits. At Berg Adventures, our Mount Elbrus Expedition, and its unique and exciting travel program through Russia, is one of the adventures of which we are most proud. Wally Berg has operated the trip through St. Petersburg to Moscow then on to the Caucasus mountains to climb Mount Elbrus each summer for the past 18 years. In 2011 companies operating on Elbrus faced major challenges due to a regional closure at the access point of the South Side of Elbrus. Teams cancelled their climbs and others chose to climb the mountain’s North Side which meant longer days and rougher conditions resulting in unhappy climbers and fewer summit successes. Not Berg Adventures. Thanks to our local contacts, our staff in Russia and in our office in Canada, and our longstanding ties to the local community, we were able to operate two climbing expeditions via the South Side of the mountain. We were the only company to successfully climb via the South Side that year. The 2011 season proved to be exciting and confirmed that Berg Adventures is prepared for just about anything and is dedicated to getting you up the mountain. Join us for another great climb this season! *Private trips available. Contact our office for details. 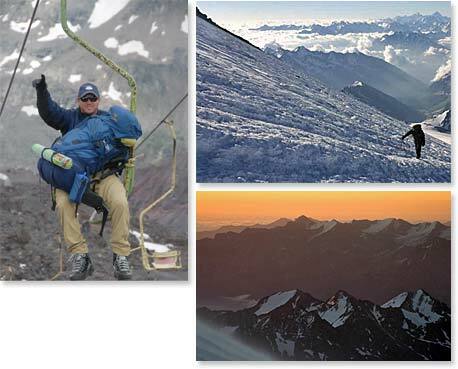 Click here for more information about climbing Elbrus with Berg Adventures. To read about last year’s adventures read the dispatches here: trip 1 and trip 2. This entry was posted on Wednesday, February 8th, 2012 at 11:11 pm	and is filed under Elbrus, Expedition News.